My daughter Laurelle is now a grown, married woman. She is a phenomenal young woman with a passion for teaching and raising my two grandbabies in the “way they should go”. I had no idea when we signed her up in kindergarten french immersion way back when, that one day she would actually teach French to other children and to my grandchildren! How did that happen? God had a plan and a purpose for her for today but the journey started many years ago. Who knew? God did. In grade seven, Laurelle became the victim of bullying. It was the worst time of our lives. She had become the primary target of s ome malicious girls at her school who took great pleasure in undermining everything about her. They called her degrading names; called her stupid, and maligned her every chance they could. They tripped her, pushed her into her locker and laughed at her. Her marks plummeted, she started to look sickly and pale. She started to dress in sombre colours and she rarely smiled. She had few friends and at one point she wanted to die. Her father and I tried to question her about school but she was tight-lipped and was a good enough actress at home to make us believe that everything was okay. We had no idea how serious the bullying situation had become until her piano teacher, who was also a close personal friend, called me and said that Laurelle had confided to her in the middle of her piano lesson that she was thinking thoughts of suicide. In horror and in panic, I ransacked her room looking for anything that she might use to hurt herself, instead I found her diary. For a day or two, Laurelle was more angry with me than she was at the bullies at school. I was okay with that. Now that I knew what was really going on in her life I could come alongside her and help, even though she rejected that at first. We immediately contacted the school, set up meetings with the school counsellor, her teachers, and the principal and we illicited prayer support from our church family. Over the next several weeks, everywhere Laurelle turned she heard, “Don’t give up! Don’t quit!” God placed people in her life that supported her, encouraged her, and loved her. Bullying had caused her to lose hope. She felt alone and afraid. Now she was surrounded by people who wanted to help her. She wasn’t alone and it gave her hope. This entry was posted in Family Life, Inspiration & Devotion, Proverbs 16:9 - Journey Thoughts and tagged Bullies, Bullying, Children, Life, Parenting, School, victim. Bookmark the permalink. 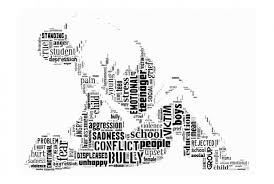 1 Response to Parenting 101- What to Do If Your Child Is Being Bullied.